Ofc. 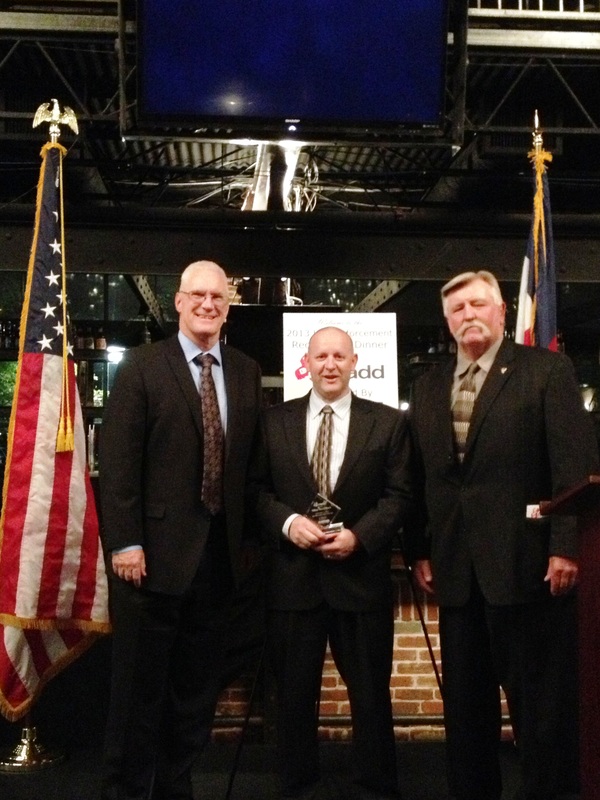 Keech (middle) with his award from MADD. Congratulations to Ofc. 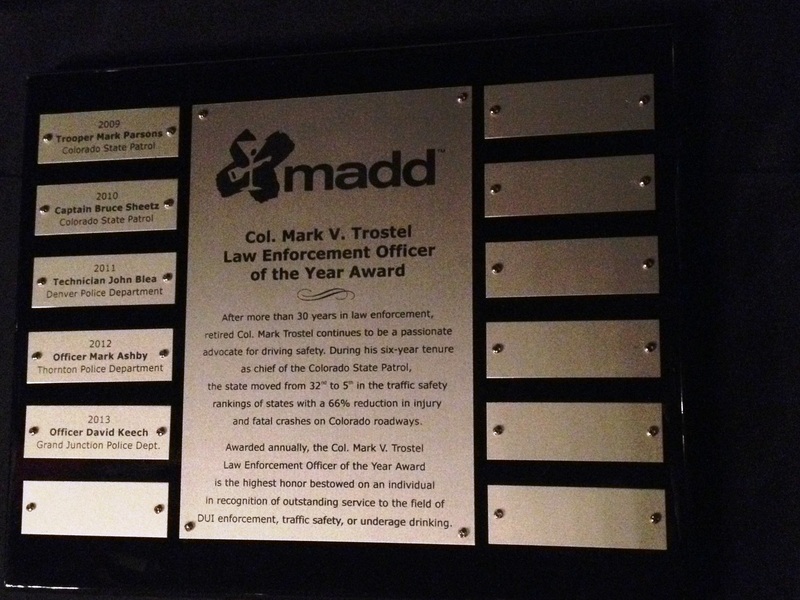 David Keech who was recognized this week by Mothers Against Drunk Driving (MADD) for his efforts to catch drunk drivers. Click this link to hear the latest interview from The Insider on the GJPD Patrol. This entry was posted in GJPD News, The Insider on The GJPD Patrol and tagged Aggravated DUI, Alcohol, Driving under the influence, Drunk Driving, grand junction police, Insider, Law, MADD, Mothers Against Drunk Driving.